Help save lives by providing vital food assistance. Children in Ethiopia are starving! Farms and livestock have been wiped out. Year after year of displacement and a century of drought has brought families to the brink. Flash floods – the worst in 30 years – have destroyed what little hope remained. Right now, almost 8 million people in Ethiopia need food assistance to avoid starving and you have the power to help them. Please donate now to help save the lives of millions of children at risk. Families are eating just one small meal every few days, and millions of young children are now starving. Sadly, it’s often children with disabilities that suffer first and suffer the most. Cases of acute malnutrition are growing rapidly, and deadly diseases are spreading due to a lack of clean water. It seems obvious, but without food and water, people die. Your crucial donation today will help provide food to the most vulnerable children with disabilities in Ethiopia, giving them access to the food and water they need to survive today and the hope they need to thrive in the future. Provide food assistance to 7.9 million people, including more than one million children in CBM School Feeding Programs. Give 20,000 acutely malnourished children life-saving treatment. Identify and treat 4.55 million malnourished children under five. Help provide greater access to vital food and water sources for those living with a disability. Create more opportunities for inclusion in schools and community for children living with a disability, to help end the cycle of poverty. 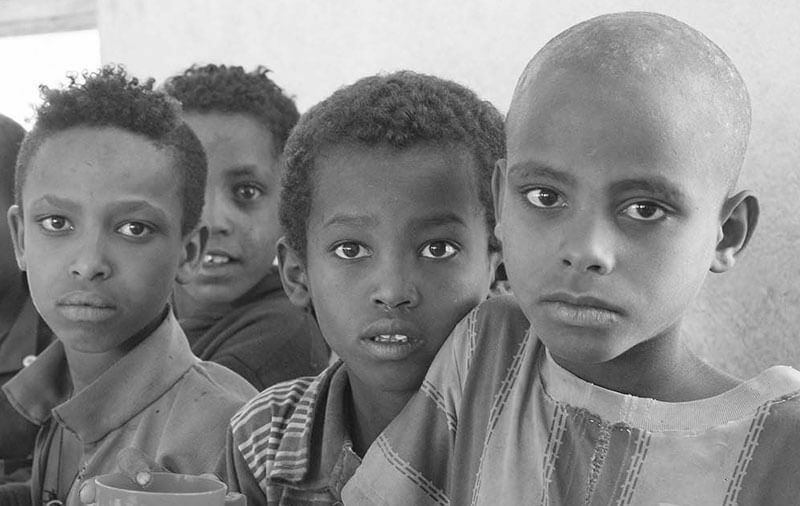 The Ethiopian Food Crisis puts children like Hofte (17) and Haimanot (14) at incredible risk. They are both deaf – and Hofte has a learning disability too. But that doesn’t stop them walking an hour each way to school. Why? Because Hofte and Haimanot receive a free, nutritious meal at school every day. 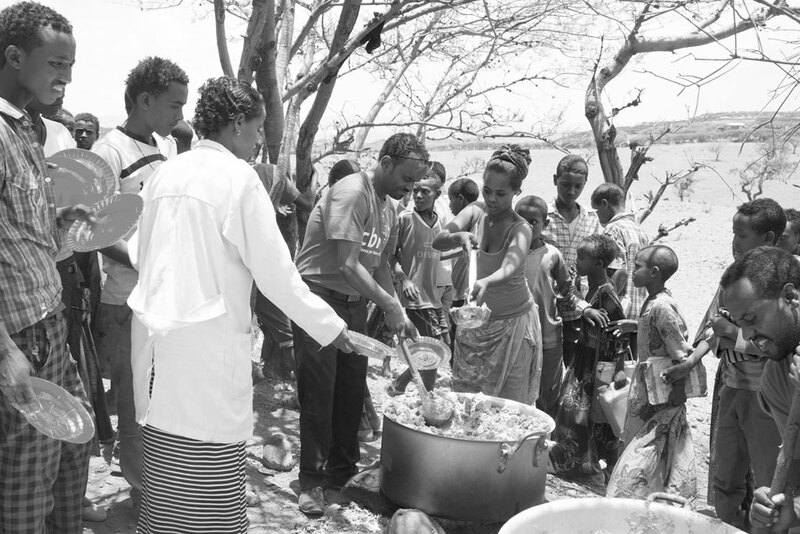 Their school is just one of several in north Ethiopia that receives CBM-funded food as part of a School Feeding Program. Their school, through the collaborative effort of CBM and our partners in the field, receives enough food and utensils to feed up to 300 students every day. School Feeding Programs ensure that children like Hofte and Haimanot are receiving a nutritional meal each day. This also means they get an education. This form of inclusion is helping break down the barriers that children with disabilities face and it’s one step closer to ending the cycle of poverty and disability for good. But sadly, there’s not enough to feed every hungry child. Please help us end the crisis.